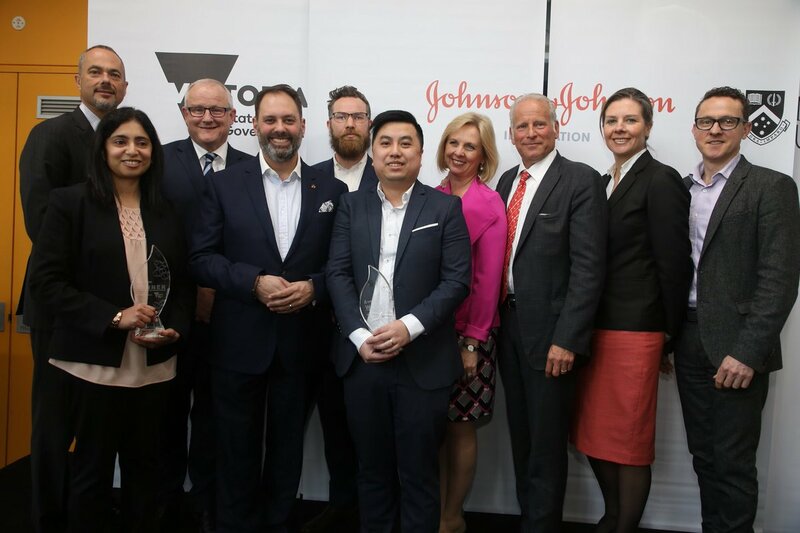 Pioneering medical device technologies developed at RMIT University have won major innovation awards in the Johnson & Johnson Innovation, JLABS “Victorian QuickFire Challenge: Driving Device Innovation”. The challenge recognises game-changing, early-stage medical device technologies with the potential to make a difference to people suffering from the world’s most pressing healthcare challenges. RMIT researchers, who received two of the three awards at the challenge, were awarded grants totalling A$300,000, mentorship and coaching from medical device experts at Johnson & Johnson Innovation, and access to the Johnson & Johnson Innovation, JLABS global entrepreneurial community. The University’s winning entries include an ingestible electronic capsule that will help screen and diagnose gastrointestinal disorders, as well as stretchable electronics developed into wearable sensors that can track UV radiation and exposure. The ingestible electronic capsule was developed by a team led by Professor Kourosh Kalantar-zadeh at RMIT University. It will be taken to market through Australia-based Atmo Biosciences, with Chief Technology Officer, RMIT’s Dr Kyle Berean. The transparent, flexible electronics, which can be worn as skin patches or incorporated into clothing, were developed by an RMIT research team led by Associate Professor Madhu Bhaskaran. Deputy Vice-Chancellor and Vice-President Research and Innovation, Professor Calum Drummond, said the UNiversity’s success in the Victorian QuickFire Challenge was a testament to its expertise and strength in research and innovation. “We are really proud of our research teams that are coming up with such creative solutions to tackle many of the issues that face our society today,” Mr Drummond stated.